to learn all that she knows. The universe that surrounds the simple gourd plant is a very complex one indeed, which at times is quite overwhelming to the novice who encounters the dried fruit at a market for the first time. Attracted first by the shape, and perhaps by the novel and delightful creations displayed by crafters, the facets of the gourd world become ever more complex with each new encounter. Because the gourd is such an ancient plant found literally around the world, there are windows that beckon the horticulturalist, the historian, the anthropologist, the beginning crafter, the serious artist. Joan Riise and Lenny (the Gourd Guy!) have opened yet another window to understanding and embracing this plant----through the spiritual connections that bond people and the precious earth with the higher powers that surge through us all. Every gourd artist will recognize this mysterious force that is inherent in the gourd itself, that power which guides the creative imagination and ultimate expression. But in this book, the steps followed with several groups of women’s circles are described with lyrical detail, from the first stages of cultivation to the final crafting of the gourd. A wonderful balance is created between the detail of digging in the dirt and protecting the plants through the growing season, to poetry and song, which reflect the individual reflection on how the experience enhances each individual's life. The photographs throughout the book, and the accompanying information in the addendum by Lenny provide an excellent instructional guide for any person interested in growing gourds, whether a beginner or an experienced gardener. This is truly a special book, which provides a unique and special understanding of that mystery which has made the gourd so special to humans for thousands of years. Many thanks to Joan and Lenny, and all the others who participated in this project, for sharing not only their expertise, but even more important, their poetry and their dreams. 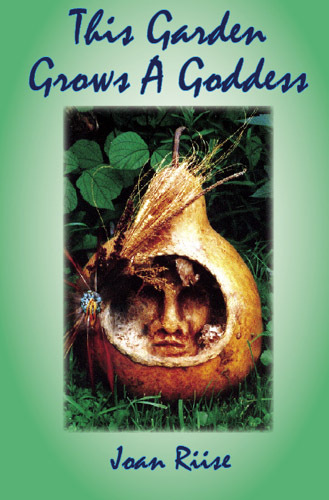 - Ginger Summit, author of "Complete Book of Gourdcraft"
Perhaps this is the tale of a fool's journey. Perhaps it is a tale of a journey to wholeness, balance and wisdom. which once begun, allowed no going back. observation, courage, vision, faith and gratitude. Looking back it was much like giving birth. that resulted in a harvest of unexpected proportions. that spans time and whispers of the mystery of life itself. in your hands may inspire the unexpected!